Dr. Dunkel: Dunkel is the German word for ‘dark.’ Dunkel was Virgillius’s assistant in “Alexandria Rising.” He had been with The Organization for over 20 years before defecting. His background and education is unknown. Black Sands: On paper, an environmental research facility location inside the Gila National Forest in New Mexico. The strange black sands for which it is named are an anomaly to that region, however, the geology aids in their alleged biological experiments. In truth, it is The Organization’s North American headquarters. Founded by Erik C.C. Matos in 1974, the site has been used under various guises. Ian St. James was promoted to oversee it and experiments with The Slendoc Meridian recently. Attempts by the U.S. National Department of Interior and other organizations to study their work has been systemically denied. Train 42: Rand takes the MARTA Train 42 to the airport to escape his pursuers. The number, ‘42’ is widespread in the works of author Lewis Carroll who was also an avid numerologist. The number is especially present in ‘Alice in Wonderland’ where it is used several times directly or indirectly. LOST as well. Through the rabbit hole we go? Kent St. James: Kent St. James achieved a level of renown while a student at Oxford University in the 1970s with his research on game theory. While still a student, a close friend of his mysteriously died. While no evidence was ever found directly linking St. James to the murder, he was labeled a suspect and considered an outcast by his contemporaries. After graduation, he disappeared from public record. -9. The Cavern is located nine levels below the main floor. 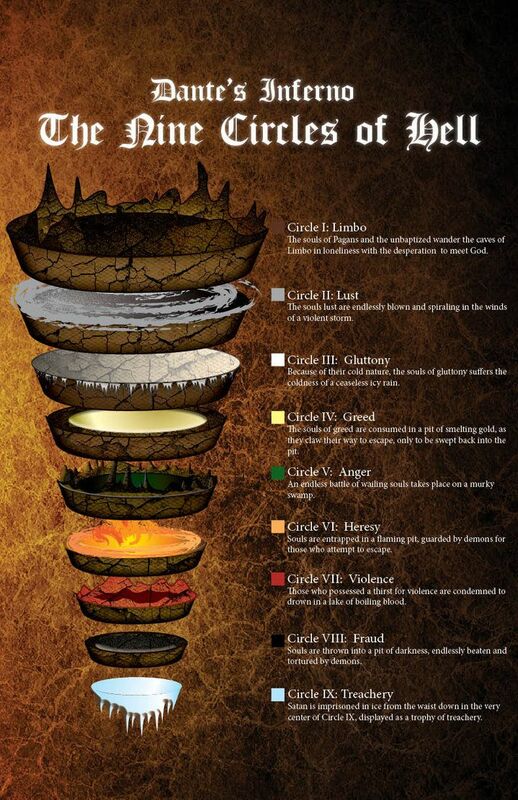 In “The Inferno” by Dante, there are nine circles of hell. The Slendoc Meridian. The name, ‘Slendoc’ is of old Atlantean origin and means, ‘sacred,’ though it has also been interpreted as ‘magic’ or ‘light-giving.’ Multiple studies in linguistics have found no other mention of its name in any language. John Reuel Rhodes: Allegedly from Oakland, Rhodes enlisted in the U.S. Marines where he earned accolades for his hand-to- hand combat skills. On-record mission work include missions in Somalia and Iraq before receiving an honorable discharge. He has many aliases including, Jon Wallace and Ron Jones. Curiously, his middle name resembles that of author J.R.R. Tolkien though no direct line of relation has been established, yet. Ian: Apparently in charge of The Organization’s North American headquarters. No last name is given. All reports only cite a young man in his late 20s/early 30s who is, “reckless, ruthless and relentless.”This cipher ended me. A clue to La Font de Montaignne was thought to be had. Eliot Waterstone: This enigmatic leader is by many estimates 120 years old. According to the “Lost Letters of Henry O’Neal,” a supplementary second appendices to “Alexandria Rising,” Waterstone recruited Rand’s grandfather Henry in the 1940s. Water- stone is also alluded to on various “Alexandria Rising” related websites and discovered videos. Eliot, as he prefers to be called, cites several direct passages from T.S. Eliot during his conversations with Rand O’Neal suggesting a deeper understanding. The direct use of passages from T.S. Eliot has been proven as an intentional homage by the author. Eliot has been known by many other names throughout the years including, ‘The Kestrel’ and ‘The Elegant Executioner.’ I am labor- ing deeply to discover more on this man who appears to be – as his name suggests – the key operative of much we cannot see. Michael Casey the cabdriver: Casey is a familiar name in Ireland, meaning in Irish Gaelic, either ‘vigilant’ or ‘watchful.’ Casey is the only character in the book who does watch over Rand and guide him in a vigilant manner to safety. Sligo: Sligo, a gorgeous county in northwest Ireland, is often referred to as ‘Yeats Country’ a reference to the 20th century Irish poet W.B. Yeats. Yeats, in later years, became as well-known for his dynamic poetry as his obsession with the occult. Mentone, Ala.: Mentone is a small town in northwest Alabama that sits at roughly 1,737 feet above sea level. The area surrounding Mentone is a lush, unspoiled area that includes such sights as Little River Canyon, DeSoto Falls and Lookout Mountain. The town itself is gorgeous and features an eclectic variety of restaurants and shops. Declan Gola: Declan Gola is from Phoenix, Arizona and spent one year at California Technical University working for a variety of start-ups in the San Francisco bay area where he was recruited to help with communications and IT work at the Mentone outpost. It is worth nothing that Gola is an anagram of Iago, the famous traitor who sets up and betrays Othello in the play of the same name. It would make sense since as another tie-in to Shakespeare and his work which play a strong role in “Alexandria Rising.” “Men should be what they seem,” – Othello. Presque Isle, ME: Presque Isle is the largest city in Aroostook County, Maine. The population was 9,171 in 2015 as estimated by the U.S. Census. The city is home to the University of Maine at Presque Isle, Northern Maine Community College, Husson University Presque Isle. Winston Worsley: Winston was a key code breaker and cipher creator for The Organization and Those Who Split for many decades. As he told Rand, he was raised in Texas. Winston spent the bulk of his time with The Organization in Europe working behind-the-scenes. While in London, he met and married Lucy Galmish. His name has caused puzzlement among some researchers and readers. While Winston may appear to allude to historical characters, none of them appear to fit the mold. More importantly is noting his last name. Worsley appears to be a direct reference to Frank Worsley who was the esteemed captain of The Endurance, the ship of the miraculous Antarctican mission led by Sir Ernest Shackleton in the early 20th century. Andrew O’Neal: Finally, we are revealed some insights into Rand’s parentage. Andrew O’Neal, nameless in “Alexandria Rising,” was the son of Henry O’Neal. He was a highly-regarded operative for The Organization, until he led The Split. Andrew was educated at Berry College and The University of Chicago. He often served as an adjunct lecturer in between jobs at colleges throughout the Southeast until his murder ordered by Kent St. James. .Harding County, NM: This county has a population of roughly 700. Its geography is a mix of prairie, semi-desert and canyons and is considered to be one of the best kept secrets of natural beauty in that state. Mary Celest: Little is known of her prior to her work with The Organization. Some have speculated she was raised in the Pacific Northwest, other records point to Morocco. We know she worked with Winston for years in The European Sector primarily in Berlin and London. Interestingly enough, the name, ‘Mary Celest’ also appears to be tied to the ship Mary Celeste. This mysterious ship was found abandoned and adrift in the Atlantic Ocean in the 1870s and is a source of mystery even today. (Dr.) Henry O’Neal: Publicly known as an expert in Modern Anglo-Irish literature, cultural diplomat and philanthropist. Though he was a professor at Emory University, O’Neal occasionally lectured at Yale, Oxford and Trinity College in Dublin. He turned down numerous opportunities to further his academic career due to what he professed was a deep love of his hometown, Atlanta, from where he and his wife were born. He was a first generation college man who graduated with multiple degrees from Harvard. Smyrna, Georgia: A city northwest of Atlanta. Spota: Adam ‘Spota’ Tiskinski rose through the ranks of the Miami public school system in an odd parallel of academic prowess and a rash of disciplinary issues. Despite being dismissed from three public schools, he still earned a scholarship to MIT. Records of him from that point appear disjointed, but his name does crop up in relation to work with the U.S. Special Forces and as an adjunct professor at Cornell University. ‘The Falcon cannot hear the Falconer’: Rand recites this phrase in the library regarding the W.B. Yeats poem, “The Second Coming” The entire poem points to a breakdown with lines such as, “Things fall apart; the centre cannot hold ;” and “blood-stemmed tide is loosed upon the world.” That poem contains many allusions to world-shifting events and, according to some critics, direct relations to the Apocalypse. In many ways, Rand’s off-hand jocularity precedes his events in The Cavern where things do indeed fall apart. The O’Neal family motto: ‘verum in aeternum’ which translated from Latin means, ‘Forever True.’ It is unclear how this motto became associated with the O’Neal family. With their roots heavy in northern Ireland, the claiming of a Latin motto is atypical. This is a mystery among the O’Neals of which Rand never questions his grandfather about. Some inquiries state that Henry O’Neal’s father, Patrick, created the motto in an effort to distance himself from both of the warring parties fighting in north Ireland to create a new slate for his family in the United States when he arrived in early 1917. The Castle: Little is known of the castle where the Organization works. According to off-hand remarks by Kent St. James, it was constructed in the 12th century and is probably located in the northern part of Austria, possibly within or near the Kalkapen National Park. Drachen Dining Room: Drachen is German for Dragon. 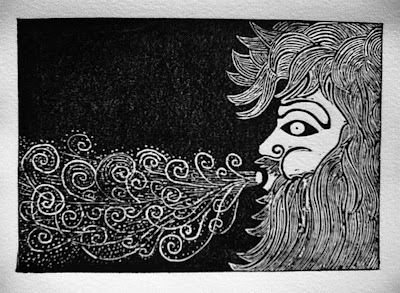 The Dragon is associated with many things mythical, powerful and otherworldly. The name is also intriguing since the number nine in Chinese is associated with the dragon. The Atlanta Observer: One of metro Atlanta’s mid-sized newspapers, it focuses on covering the city’s northwest suburbs. It was established in 1901 and has a reputation for bulldog journalism. Mark Venator: Venator is Latin for ‘Hunter’ and Mark is named after ‘Mars,’ The god of war. Venator was sent to hunt Rand in this instance and as Eric mentions later is one of The Organization’s overseas operatives. Dr. Virgillius: Virgillius is a reference to Virgil who guides Dante through hell in “The Divine Comedy.“ There are no public records in relation to Dr. Carmine Virgillius. Henry Cromwell: The Cromwell name is strong throughout British History. The two most notable being Oliver Cromwell who throughout the mid 17th-century was an English tyrant. His atrocities and genocidal acts to the Irish, in particular, are notorious. Another Cromwell was Thomas Cromwell, advisor to Henry VIII, who helped usher in the age of the English Reformation. Regarding Henry Cromwell: After graduating from Cambridge with multiple degrees, he earned a reputation for his insight and drive during a 10-year stint in MI-6. He retired from the service before the age of 40, then surfaced occasionally in public roles across the spectrum including the European Union, Icelandic oil claims and other seemingly unrelated ventures. He disappeared from public life in the late 1990s. Dr. Hope Lightfoot: A native of the American Midwest, she earned her undergraduate degree from Indiana University in English, Music Appreciation and French. She then took a circuitous route earning fellowships to study at Juilliard, Cambridge and Berklee. Wolfgang Amadeus Mozart: While his name is synonymous with classical music, many have forgotten how prolific he was composing more than 600 pieces of music in his lifetime. He was also reputed to work furiously under deadline, a trait generally associated with those using the Slendoc Meredian. Ich habe die Macht! German for, I have the power! What Weston experiences as he hovers over the found piece of the Slendoc Meridian. William Shakespeare: The greatest playwright and poet of his time, and perhaps all time. His words and phrases are commonplace today. However, as is alluded to in this book, there were the ‘lost years’ when he did disappear only to emerge as a vortex in literature. The simple tremendous quality and quantity of his work has often led some scholars to believe that Shakespeare was several people as one person could not possibly produce so much in such a short period. It is a myth The Organization has fostered. Weston: The scientist who found the piece of the meridian. Weston appears to be a reference to Professor Weston from, “Out of the Silent Planet“ and“Perelandra“ by C.S. Lewis. The Weston in Lewis’s books is physicist and scientist who spouts doctrines that include moral relativism, science as a god and the teachings of Nietchze. Conor Renfield: Renfield is a character from ‘Dracula’ by Bram Stoker. The book – still debated as fiction or historical – features Renfield is a disciple of Dracula before turning on him in the end. He dies without Salvation and alone. -ed and established a reputation similar to other colleges its size such as Washington & Lee. The Bear: The identity for The Bear is never established. He might have earned the name either for his bulky size and wild beard or as an allusion to his Russian heritage. At one point, it was believed his last name was Chekov, but it cannot be confirmed. Sine Timore: Latin for ‘Without Fear’ The Frankish Castle the Organization occupies is inscribed with many ancient sayings. Though the members come from throughout Europe and the castle itself is located in Austria, the common default language in writing appears to be Latin. Sine Timore could be a motto of The Organization or a reminder to separate one’s emotion from reason as one ventures into unknown territories inside and outside the mind. Dr. Dunkel: Dunkel is the German word for ‘dark.’ There are no other public records on a Dunkel, Dr. Dunkel or the like associated with psychology. Rand O’Neals parents: We have little record of them here, except what is told to Rand by Dr. Virgillius and Kent St. James. Of course, considering the source of the information, what they told Rand may or may not be true. Karalveem Valley: An extremely remote area located in the far northeast corner of Russia. Initially used for mining and later for building nuclear power plants, the harsh nature of the environment prevented much contact with the outside world for decades. For example, television was not available to the area’s residents until the 1970s and temperatures in the winter can reach 30 below zero. Dr. Anne Catherick: Anne Catherick is the name of the woman in white in Wilkie Collins’ ‘The Woman in White’ considered by many critics to be the first mystery novel written. Terrible worth fullness, yet understandable. Eliot Waterstone: ultra vos sunt. ultra vos sunt. 337. 337. 337. Mt. St. Helens (eruption): When The Bear refers to, “what happened at Mt. St. Helens,” he is referring to a massive eruption that occurred at Mt. St. Helens in Washington State, U.S.A. in May 1980. While this volcano has had several eruptions through the centuries this was one of the most severe in recent history causing the north face of the volcano to slide away, killing over 50 people and dumping ash in 11 states. Geologists and news reports attributed to general instability and magma surges, however, sources inside The Organization have cited it to a reckless crew pursuing a significant sized piece of the meridian. The event is generally used by The Organization as an example of placing too much trust in technology and not respecting the power of the stones.